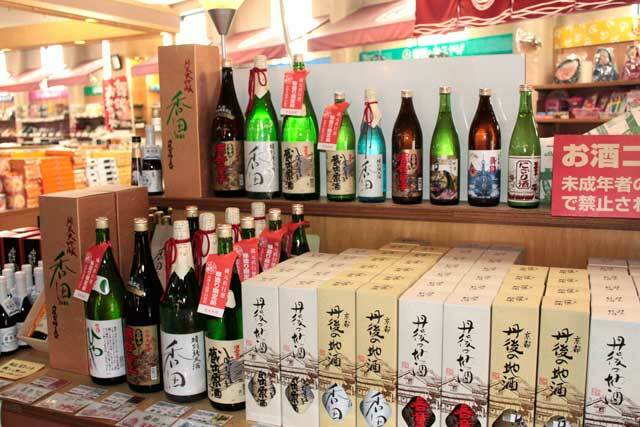 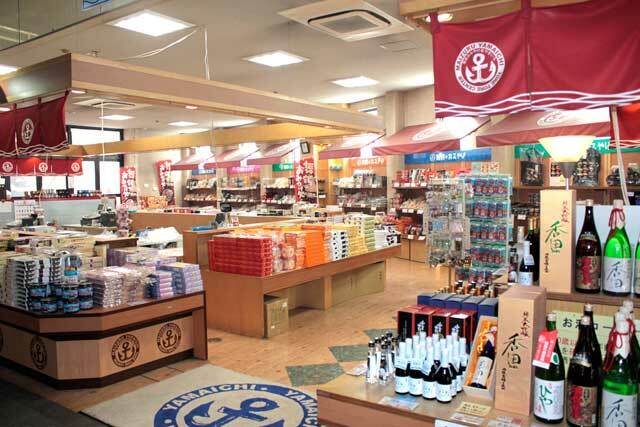 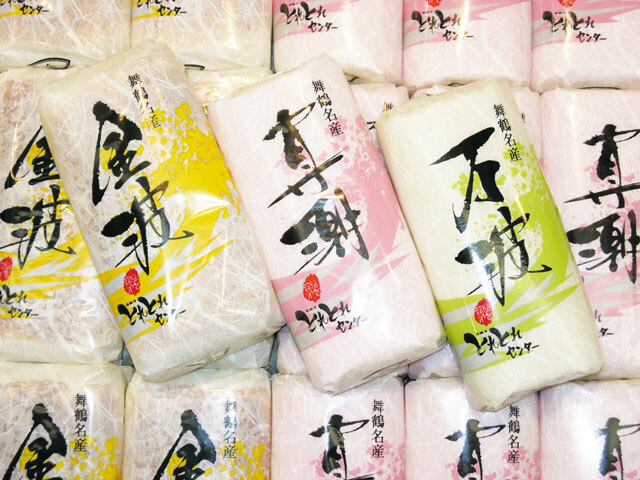 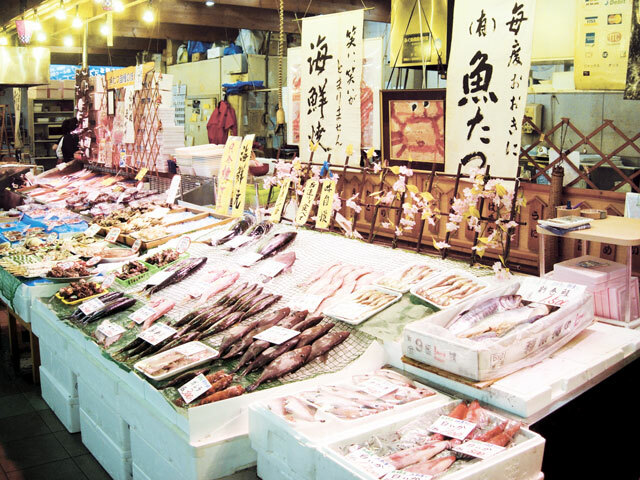 Needless to say, the specialties of Maizuru are seafood. 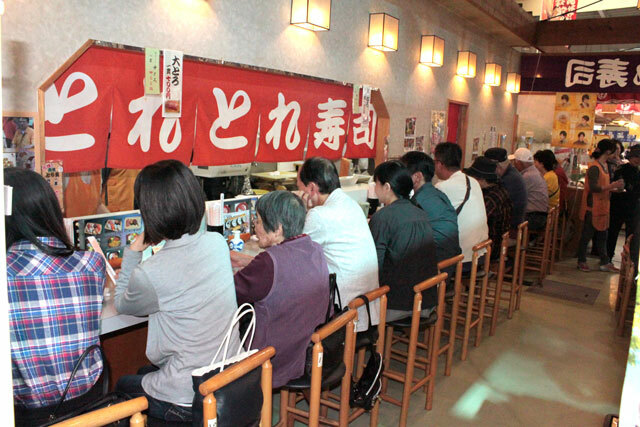 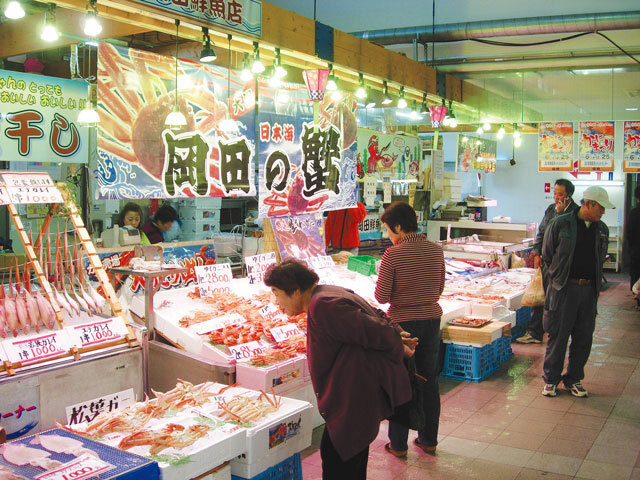 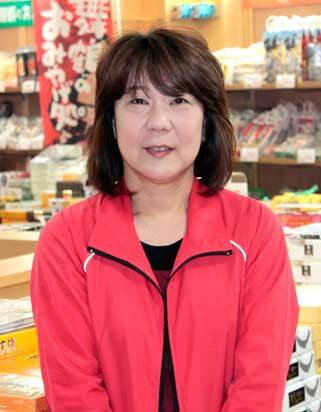 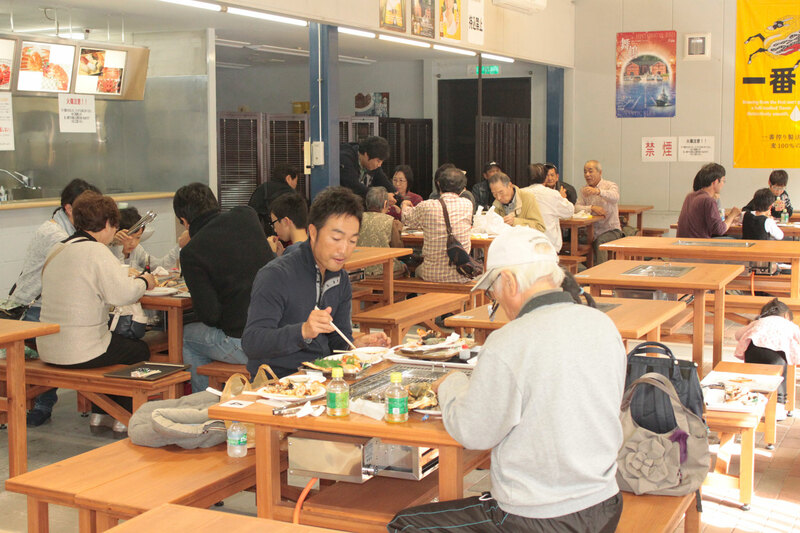 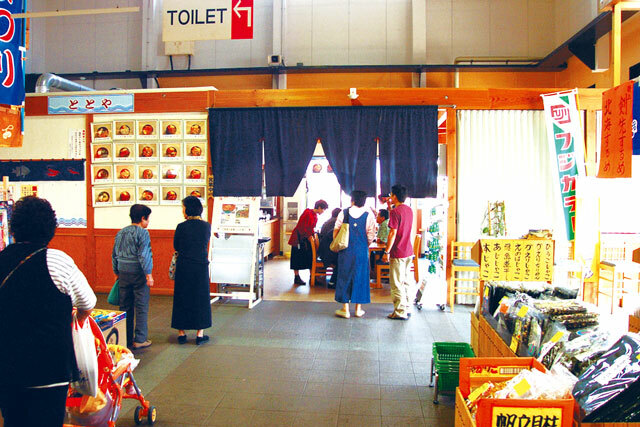 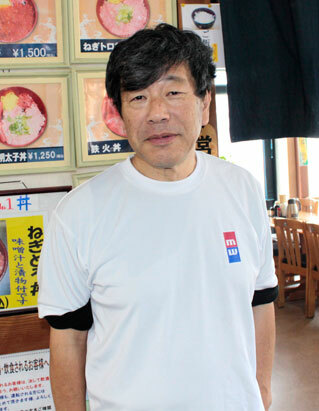 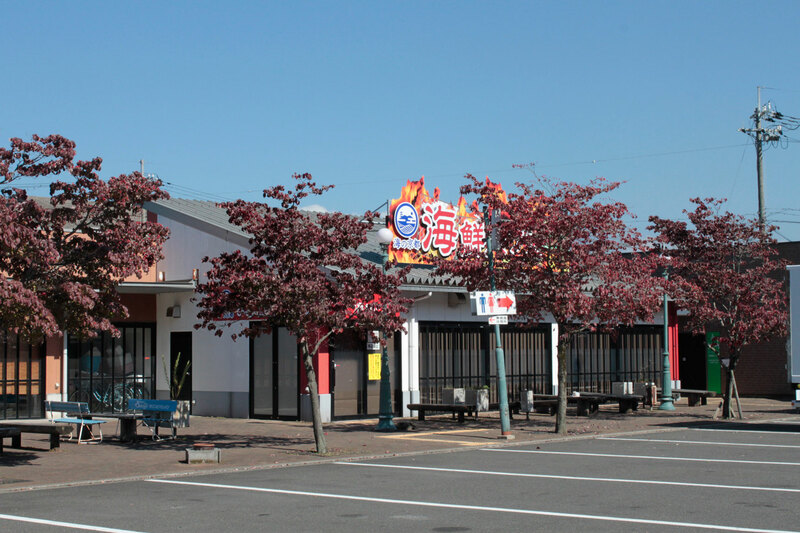 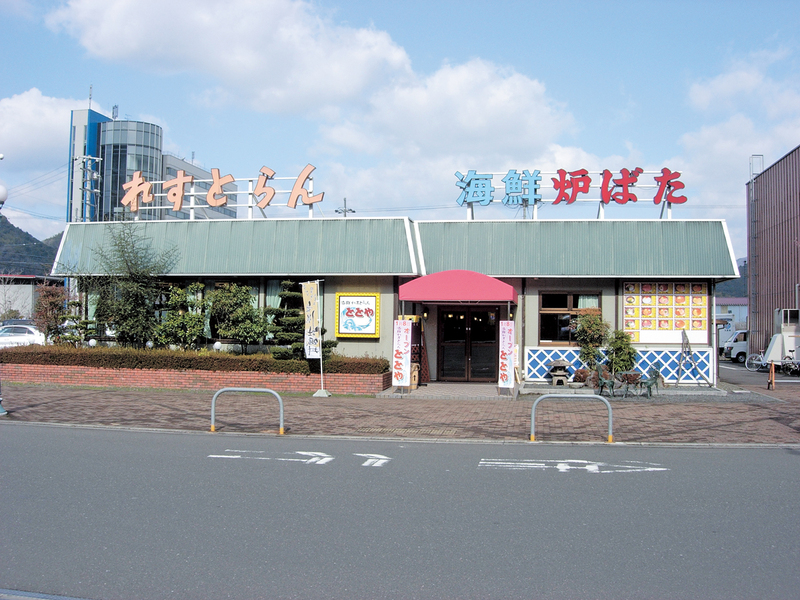 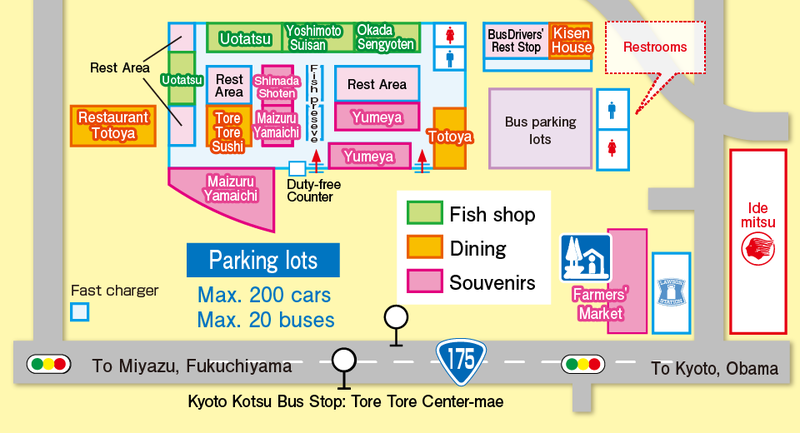 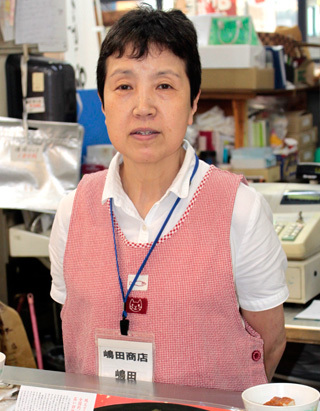 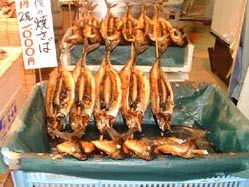 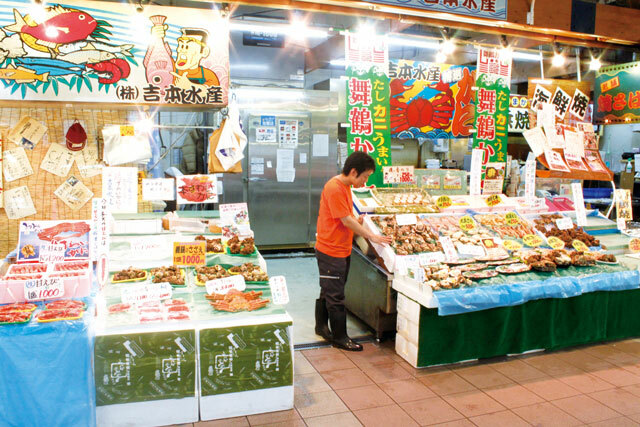 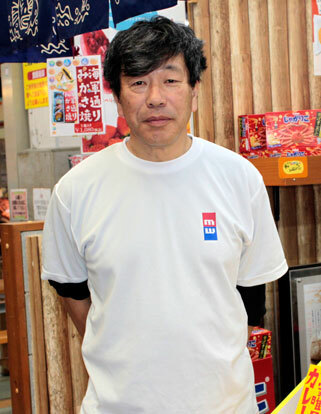 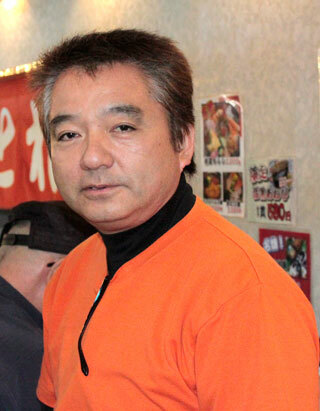 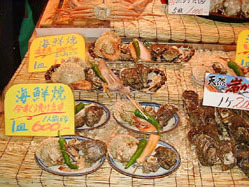 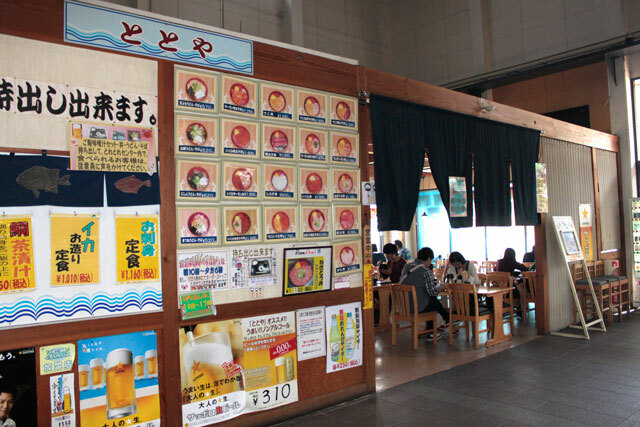 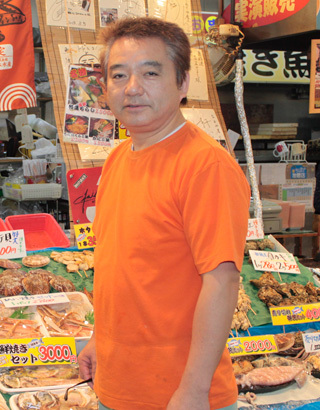 A variety of seafood is available here throughout the year, such as iwagaki oyster and torigai for summer; and crabs: the king of winter delicacies. 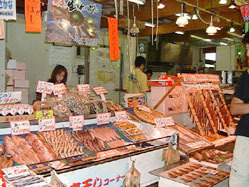 Not only fresh fish and shellfish, but processed seafood, are also for sale. 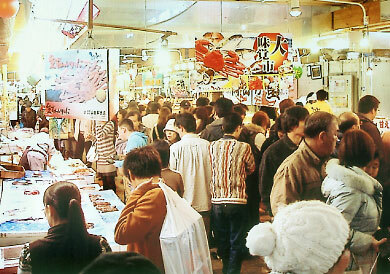 Enjoy shopping in the lively market. 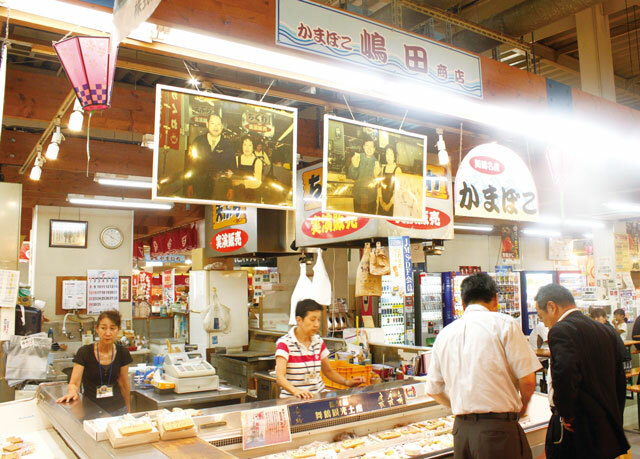 Foreign tourists can apply for tax exemption here. 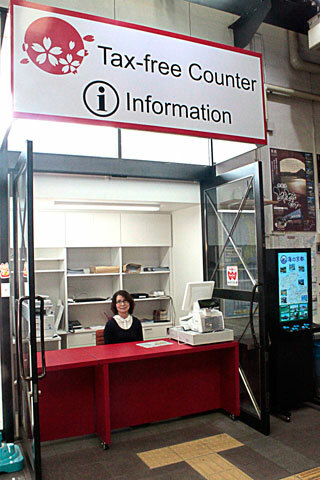 Brochures in English, Chinese, and Korean are available. 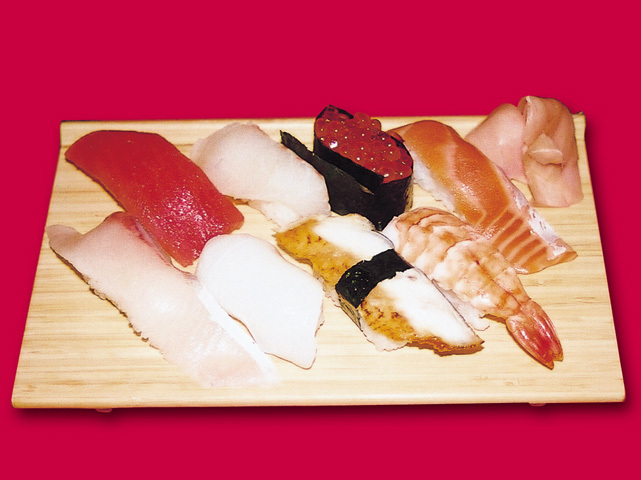 Get “The fruits of the Sea of Japan” for gifts! 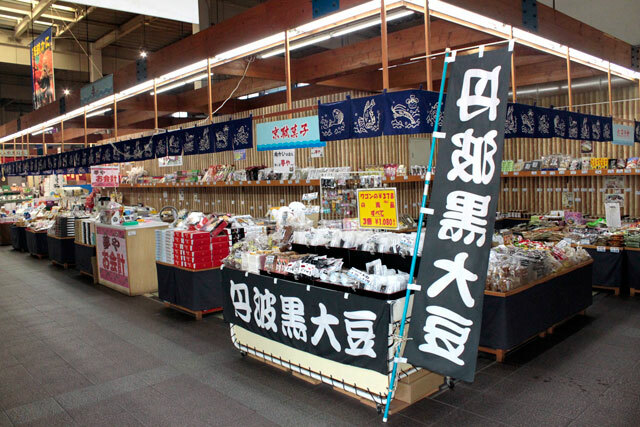 Get unique and authentic souvenirs! 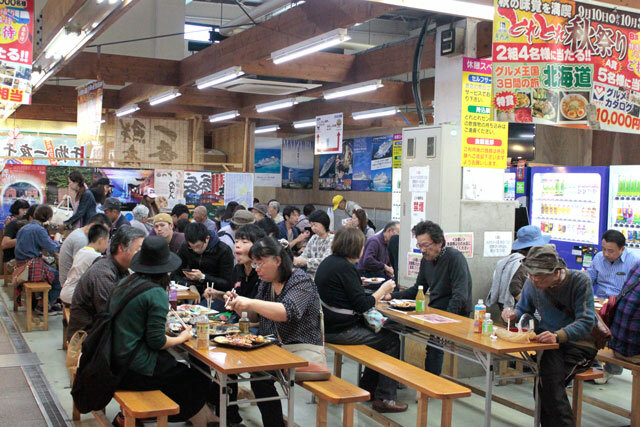 After selecting your own fish, crab and shellfish, get them grilled or made into sashimi right there, and eat here.